By the winter of 2014, food writer and photographer Barbara Abdeni Massaad had seen more than one million Syrian refugees arrive to her native Lebanon, a postage-stamp country with a pre-crisis population of just four million. 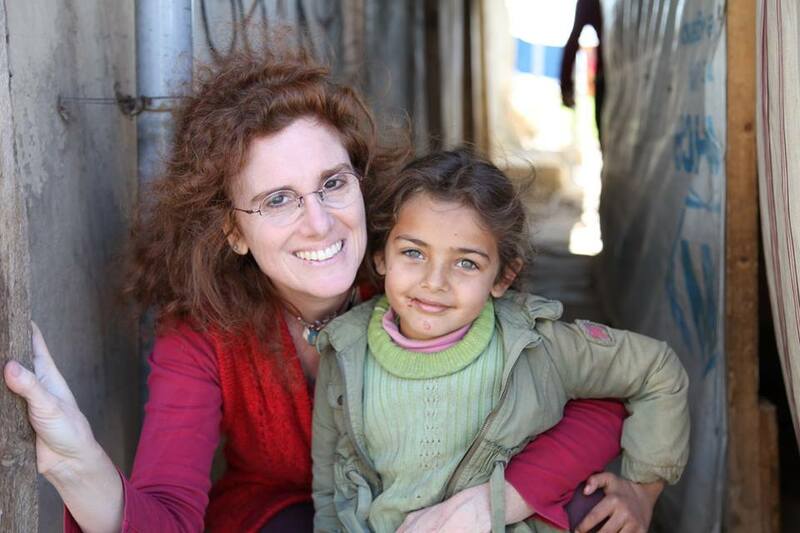 She regularly brought carloads of food and clothing to refugees in a makeshift camp of Lebanon’s Bekaa Valley, but was searching for way to do something more. “Had I been a barber, I would have cut their hair for free. Because I am a cookbook author and photographer, I decided to create a cookbook,” said Massaad. Soup for Syria was born. Massaad collected recipes from internationally-acclaimed chefs to Lebanese home cooks, focusing on soup as the universal comfort food. Anthony Bourdain, Alice Waters, Claudia Roden and Yotam Ottolenghi are just a few of the star participants. Massaad coupled the recipes with stunning images she had taken of some of the refugees she had befriended. Soup for Syria hit bookshelves in October 2015, and proceeds from its sales are donated to UNHCR (the UN Refugee Agency) to help buy foodstuff for Syrian refugees. In a jet ski accident at the age of six, Michael Haddad suffered the kind of spinal cord injuries that should have put him in a wheelchair for life. Defying all odds, Haddad learned to walk with the assistance of an exoskeleton. As an adult, not only does he walk, he sets world records. 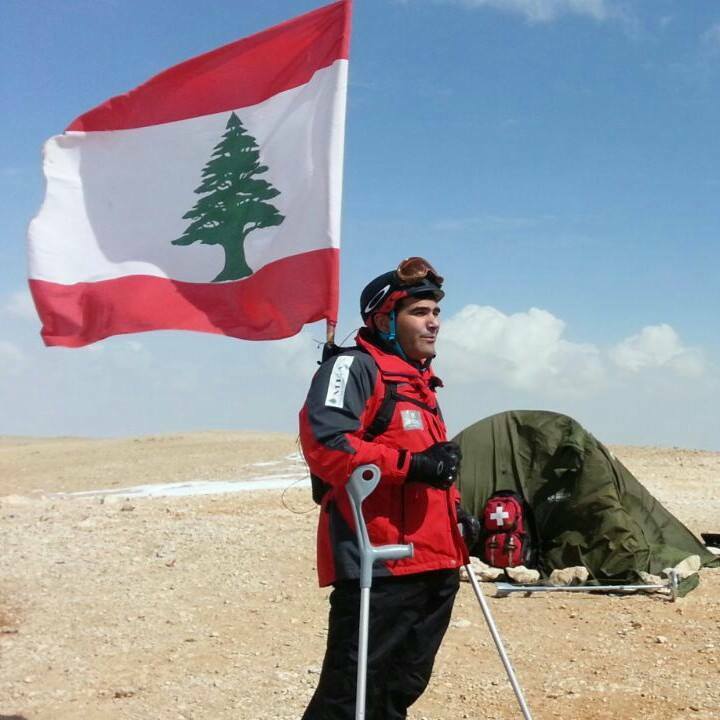 In the past three years, Haddad walked 19 kilometers between cedar forests of Lebanon to raise awareness on reforestation initiatives, climbed the iconic 44-meter high Raouche Rock on the Beirut coastline to raise environmental awareness for the threats to Lebanon’s natural landscape and wildlife, and summited the 3,088-meter Qornet El Sawda (Lebanon’s highest peak) to raise awareness about Lebanon’s eco-system. Now Haddad is preparing for his next challenge: to walk 100 kilometers in the North Pole to raise urgent awareness on climate change. In recognition of his efforts, the United Nations in Lebanon named Haddad a Climate Change Champion in December 2015. As if that weren’t enough, Haddad also works with an assortment of universities and tech firms around the globe to first develop a revolutionary lightweight, low-cost exoskeleton that could enable others with similar spinal cord injuries to walk; and secondly, to research how he has been able to accomplish his locomotion, something which, from a neuroscientific perspective, should be impossible. As a sociology student in her native Lebanon, Sarah Beydoun visited a notorious local prison as part of the research for her Master’s thesis back in 1998. She returned to the prison with beads, canvas on which she had painted patterns, and a desire to help the incarcerated women earn a living. The women beaded the patterns, and Beydoun had the embellished canvas made into handbags. 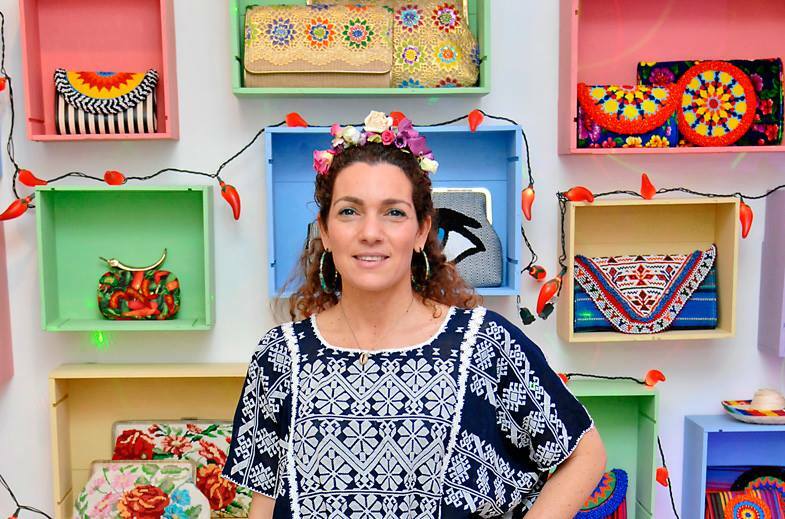 An initial investment of US$200 turned into a fashion phenomenon called Sarah’s Bags. The handbag designs are often whimsical, with influences such as Warhol, Lichtenstein, tiki bars and Middle Eastern motifs. Most pieces range from US$150-$650, and they are sold in 23 countries. The company remains a social enterprise, working with 50 female prisoners and 150 underprivileged women in Lebanon who bead, crochet, sequin and embroider around 300 pieces per month. Some of the women have used their earnings to overturn wrongful convictions, others to support their families while incarcerated. For all, it is an opportunity for economic empowerment and financial independence. In recognition of her accomplishments, Beydoun was named a 2016 Honouree of the Oslo Business for Peace Award. She was one of three entrepreneurs selected from a global pool of nominees, for being “exceptional individuals who exemplify the concept of being “businessworthy” – applying one’s business energy ethically and responsibly to create value for all.” She will receive the award on May 3, 2016 in Oslo, Norway. Civil war racked Lebanon from 1975-1990, leaving a legacy not only of bombed-out buildings, but also of a people divided along political and religious lines. In the year 2000, Assaad Chaftari, former senior intelligence official of a Christian militia, was the first ex-combatant to deliver a public letter of apology. His path crossed with other ex-combatants speaking out against war, and individual efforts for peace and reconciliation coalesced into a movement. Spurred by the instability brought on by the Syrian crisis, the movement redoubled its efforts. In 2012, Chaftari and other former fighters headed to Tripoli in northern Lebanon, to speak out against violence that had erupted there. Fighters for Peace was formed. FFP officially became a non-governmental organization (NGO) in 2014, chaired by Ziad Saab, former fighter from a Communist militia (yet another of the many warring factions that plagued Lebanon during its civil war). Of the group’s 30 members, 18 are ex-combatants, a few more are psychotherapists, and the remainder are youth and peace activists. Fighters for Peace targets youth in Lebanon, typically presenting in pairs from formerly opposing parties, with the aim of helping them avoid the path of taking up arms. Their work includes dialogue sessions, workshops, plays and exhibitions. Along with Lebanese youth, Fighters for Peace is addressing Syrian refugees, activists and NGO leaders planning for the post-war era, working with Palestinians living in Lebanon, and supporting families of those who disappeared during the civil war.